Cicely Oliver discovers that there’s more to farming than crops in the fields. IN 2015 Iain Withers bought four acres of farmland with a plan in mind: an eco-friendly market garden business delivering produce by boat along the canal. And Scotland’s first community-owned moorings on the stretch of the Union Canal abutting the land – Narrowboat Farm (NBF) – was born. Iain, his wife Sarah and lurcher Twizzle have lived on their narrowboat for seven years. Iain’s inspiration for community-owned moorings came from a group of Scottish boaters who commandeered a disused piece of land and turned it into their own visitor moorings, which provided them with a sense of ownership and community until shut down by the authorities. 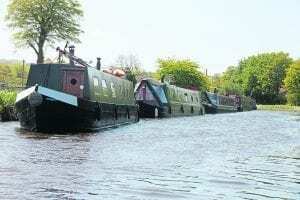 At present, all moorings on the Scottish canals are owned and administered by Scottish Canals and two years on from purchasing the land, the creation of the first community-owned moorings in Scotland is proving a slow and complicated process. The Scottish canals are Scheduled Ancient Monuments, and the prospective Community Moorings Scotland trustees have not only found their way through incorporation as a charitable organisation, but are dealing with Historic Environment Scotland, the local authority planning department. 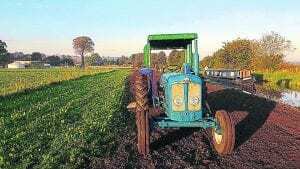 They are negotiating a trading agreement and lease with Scottish Canals, all in the spirit of the Community Empowerment (Scotland) Act 2015 and the Scottish Government’s priority for progressive land reform. However, Iain and the trustees are tenacious and determined in their vision to establish NBF as the first of a network of community-owned moorings. Their vision is for ‘amazing places on vibrant canals’. 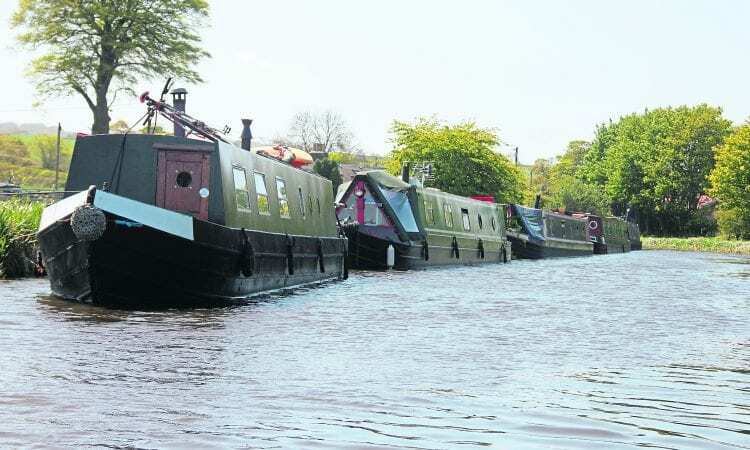 Iain explained: “I was on a visit to Skipton recently and was amazed at the vibrancy in the basin and the sheer number of boats moving around on the canals. That is exactly what we need here in Scotland to secure the future of boating on the canals and exactly what our project is looking to help achieve. If we can work together as boaters to make amazing places to go boating, then we can replicate that vibrancy on the canals here by increasing the appeal of boating. The group is in the process of creating a sustainable financial model, and has identified potential future moorings along the lowland canals, reflecting the desire for a form of community-owned moorings that will bring cultural, socio-economic, heritage, tourism and environmental benefits. NBF’s success will showcase innovative community empowerment by Scottish Canals, and allow the boating community to take ownership of an essential part of the canals’ success. NBF is already creating interest within the local and boating communities with dozens of boats having made good use of the visitor moorings, and lots of friendly locals chipping in to help with building the farm from scratch. While the legalities are progressing, and practical matters such as how to construct the moorings worked upon, you can find more information and follow progress at www.communitymoorings.com and narrowboatfarm.com.